← Are you a glory stealer? Doing what you love and loving what you do…. 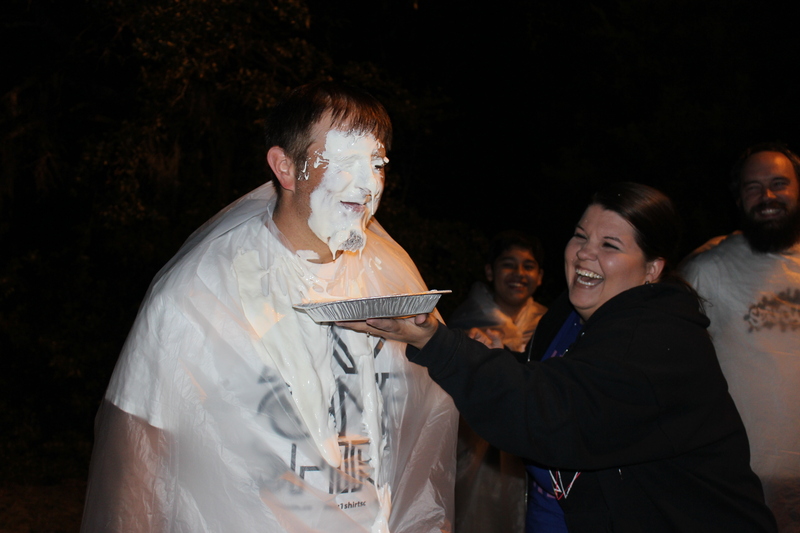 I LOVE youth ministry. LOVE those teenagers and everything that comes with them…. 3AM texts, late night pizza, inside jokes, silly traditions, hash tags galore, funny nicknames, gross challenges, food fights… I just love these guys. I will take 4 vans full of youth students over nursery duty or preschool kids any day of the week. My heart beats with a passion for this generation. They are such a major part of our lives and have been for many years. My kids look up to them and think they are cool and that makes me proud. Having been involved as youth leaders and now youth pastors for a dozen years now, we have had lots of excitement. This is truly a ministry that will keep you smiling. I would never deny that we have so much fun living out the calling that God has on our lives. 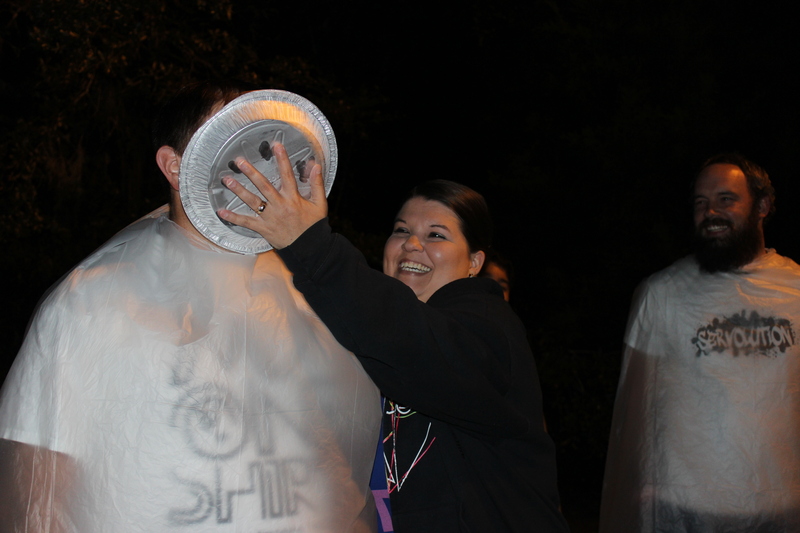 These students keep us goofy…some would argue that we don’t need much help, but we will blame it on the teenagers. We had one of those fun-goofy-crazy-memories-were-made nights last night. See, we challenged our youth to raise money for missions. If the guys won, they would have had the privilege of pouring slime on the girls. 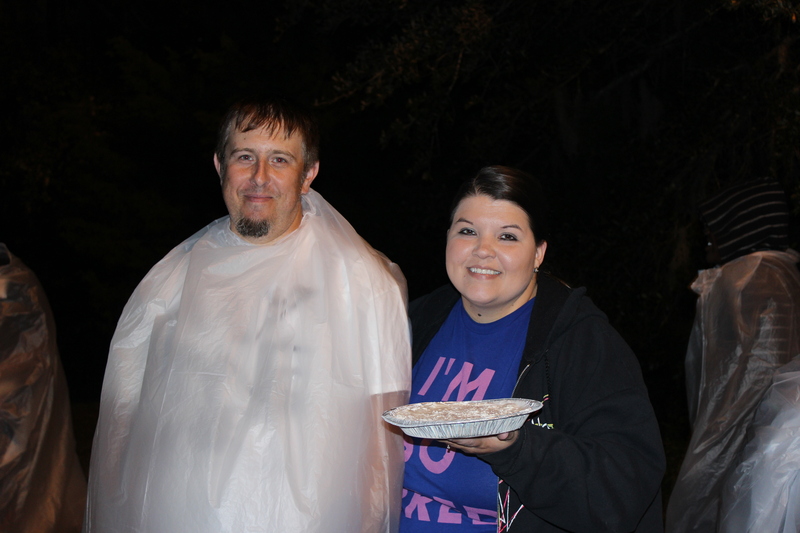 However, the girls won…which means that we got to throws pies in their faces. It was AMAZING. 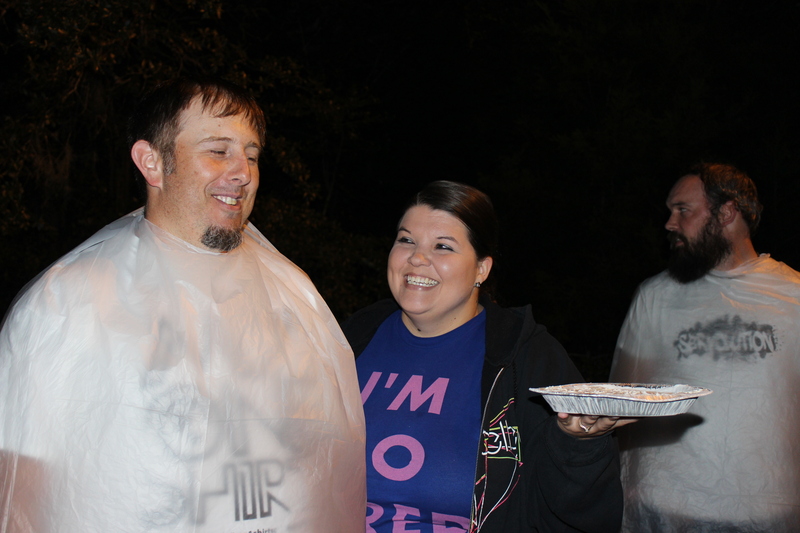 I claimed the first pie for my dear husband and then told the girls that they could go for it. Obviously, these are just some fun reasons. There is so much more to it that this, but that is another post for another day. 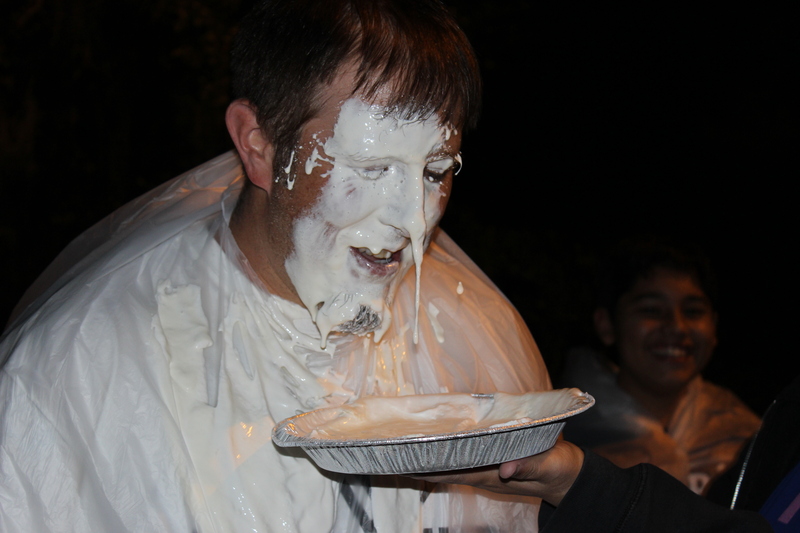 It is my great joy and honor to love on…get messy with…blast music… and pour into the lives of these amazing students.